Marty Lacker a member of Elvis’ Memphis Mafia and one of the best men at Elvis’ 1967 wedding, died February 14, 2017 after suffering from kidney failure. He was 80. He’s the second member of the Memphis Mafia to die in recent months, following the November 2016 death of Joe Esposito, the other best man at Elvis’ wedding. 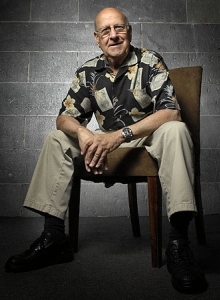 Joe Esposito January 22, 1938 November 23, 2016 – Elvis’ former confidant and road manager Joe Esposito moved from Las Vegas to California. His daughter Cindy wanted her 78-year-old father have closer to her and his grandchildren. Joe Esposito met Elvis in Germany in 1958, where both were there for military service. 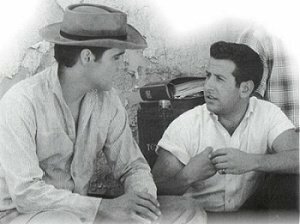 Later Elvis offered Esposito a job but he became also Elvis’ confidant. He was Elvis’ road manager for many years, and supervised the many concerts that Elvis did after 1968. Elvis gave him the martial-arts nickname, ‘the Lion.’ After Elvis returned to the US he hired Esposito as his road manager. After Elvis’ death, he worked for a year at Graceland to settle all outstanding issues. He then worked as a road manager for The Bee Gees, John Denver, Karen Carpenter, Wayne Newton and Michael Jackson. In Las Vegas, he worked in a number of casinos like The Wynn, etc. It Esposito who arranged many dates for Elvis. West Germany. Elvis gave him the martial-arts nickname, ‘the Lion.’ After Elvis returned to the US he hired Esposito as his road manager. It Esposito who arranged many dates for Elvis. 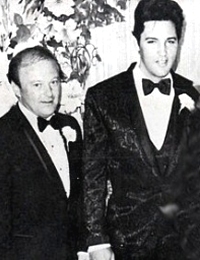 With Marty Lacker, Joe Esposito served as best men at Elvis and Priscilla’s wedding on May 1 1968. As a member of the Memphis Mafia he drove Priscilla to the hospital the day, Lisa Marie was born. And it was Joe who told Priscilla the tragic news that Elvis had died. Since Elvis’ death Esposito worked as road manager for the Bee Gees, and today he owns a Los Angeles limousine business. Hi Lea, Looks like your website is doing great. Keep up the good work. Please correct this story: I was not the one to drive Priscilla and EP to the hospital to have Lisa Marie. It was Jerry Schilling and Charlie Hodge. I flew in from California a couple of hours later. Over the years, Joe has often been asked to verify many controversies surrounding the sightings and still alive rumours. WHAT WOULD ELVIS BE DOING IF WERE STILL ALIVE? He would have liked to go back in to movie business. He wanted to do better films, some action movies, and maybe even direct. As far as his recording career, I think he would have gone back to his roots and recorded more country and gospel songs. But he always loved rock and roll music the most. WHAT SORT OF THINGS SCARED ELVIS? Elvis wasn’t scared of much. At one stage he was afraid of flying. Elvis was very impatient so he eventually had to commute by plane. He never feared dying. He believed he’d go went God willed it. WHAT WERE SOME OTHER MOVIE ROLES ELVIS TURNED DOWN? We all know he turned down the lead in A Star in Born, because the Colonel didn’t think it a role right for Elvis’ image. The other movie was Being There. The producer wanted Elvis. It eventually starred Peter Sellers. Ironically it was his last role. ELVIS STRAIGHT UP! by Joe Esposito – I first met Elvis Presley in the Army in 1958 and began working for him soon after we were both released from the service in 1960. Literally, until the day he died seventeen years later, my life and the exciting world he lived within became my existence. It was a wild, crazy ride. And despite some very tense periods, I loved every minute of it! Over the past thirty years, I have been asked by fans around the world countless questions about him. There doesn’t seem to be one detail about the man who people aren’t interested in. Over the years, I have been as forthright with my answers as I can. During the years immediately after his death, I grappled over how to answer some of the more difficult questions being asked about Elvis’s life, and I came to the decision that telling the truth works best. I was with Elvis for seventeen years. That’s a long time, and being with Elvis was no 9 to 5 job. Elvis’s demanding lifestyle meant you had to be available 24/7. He was a handful. You never knew from one day to the next what adventure he would call upon us to explore with him, or what insane lengths we might have to go to fulfill one of his outlandish desires or elaborate requests. So much was happening so fast during those years. Elvis was always on the go that it’s sometimes hard to pair events with the eras they took place. I have tried in the past to assemble my memories into a book, but it really is an unrealistic expectation. How could I possibly squeeze seventeen years of experiences with Elvis Presley into two or three hundred pages? Well, you can’t. However, the dilemma inspired the “Elvis-Straight Up” series. A series affords a lot more freedom to elaborate on a wider variety of stories, and in far greater detail than ever before. I am thrilled to be working with noted writer and Elvis historian, Joe Russo. Russo has an uncanny ability to recapture the thrill and intensity of living with Elvis most vividly. Being involved in entertainment he has some insight into the business and the personalities involved. He has been helping me explore the details of my years with Elvis from my memory for fans to enjoy. Joe Russo’s project has no agenda other than telling the plain truth. No axe to grind. No ulterior motive. No score to settle. I held nothing back this time. What this collaboration has created is a balanced, thoughtful and heartfelt account of life with Elvis Presley. Elvis possessed a very special magic and power, not only as a performer, but also as a human being as well. As a performer, there simply has never been an equal. Nobody has what he had. It’s that simple. He was the only entertainer in the world who could move and inspire people. Once he “touched” you, that was it. You were hooked for life. And as a human being? As long as I live, I know I will never see anyone have such a profound effect on people. He could make anyone, and I mean anyone, feel like he was the most important person in the world just by talking with him. He had charisma and charm that is just indescribable.. and he didn’t even have to sing! When Elvis entered a room, you could feel the energy of his presence tingle at your nerves because the power of his magnetism was that intense.. and Elvis was just as perplexed by this phenomenon as you or I. He was a humble man but keenly aware of his unique gifts and spent most of his life searching the spirituality clues why he was chosen to be “Elvis Presley”. Over and over throughout his life he asked himself, Why me? Since his death have asked myself the same question, “why me?” and why, of all the people Elvis met in the service, did he pay special attention to me? In fact, why was I even in the Army? Did destiny lead me into the Army for the sole purpose of meeting Elvis Presley? Why was I selected to become “right hand man to one of the most celebrated entertainer in history, and to be chosen by Elvis Presley as a best man at his wedding? If only a portion of how larger than life Elvis was, or how incredible a time I had being with him is conveyed to fans by my recollection , it may also bring me closer to answering that question for myself… “Why me? ELVIS & “THE BOOK”: Weeks prior to Elvis’s death in August of 1977, a paperback book titled Elvis: What Happened? was released by Random House publishers. It was authored by a tabloid journalist named Steve Dunleavy based on interviews with Memphis Mafia” members Red West, his cousin Sonny West and Elvis’s karate instructors, Dave Hebler. The three bodyguards were unceremoniously fired in mid-1976, made a terrible decision that would shattered Elvis’s world and created the greatest devastating upheaval in his personal life since the passing of his beloved mother. The book would become a blockbuster, one of the best-selling paperbacks of all time. It’s timing couldn’t have been better, or worse, depending on which end of the gun barrel you were on. Red West and Elvis were very close. They were from the same part of Memphis and went to the same school together. The incident that cemented them forever happened during their days at Humes High School, when Red thwarted a group of bullies from beating up on Elvis. From then on, they were thick as thieves. Red eventually took on the role of protecting Elvis with his life until the day they parted company, over twenty years later. Red was there from the beginning, his sincerity proven by the fact that he befriended Elvis long before he was a star. 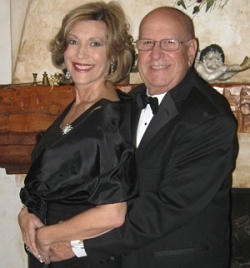 Red was one of the few of us who knew his mother, Gladys. Elvis and Red were very tight. There’s no question about it. In a way, they were brothers. They loved like each other like brothers, and on more than one occasion, they clashed like brothers. Now, every one of us who had ever worked for Elvis had been fired at least once. It was something that was inevitable if you were around him for any period of time. But we also knew, that sooner or later you would be asked to come back. So for the life of me I could never understand, until this day, why Red and Sonny turned against Elvis the way they did. Scorned, they retaliated by aligning themselves with a sensationalist writer and began work on an explosive “tell all” expose of Elvis’s personal life, his faults, bad habits and temper tantrums. To be fair, they did covered the good times as well: Elvis’s generosity, his immense talent, his love affair with his fans, etc. The main purpose of the book however, was to return fire and blow the lid off the Presley myth. They were let go in July of 1976, and within six months we were reading sample chapters of this book eventually known as Elvis, What Happened? Elvis Presley, the most influential rock ‘n’ roll figure, made one simple tour demand. “Two six-packs of Mountain Valley spring water,” said Elvis Presley’s best friend, Joe Esposito. “All these people today, who want certain color M&Ms removed, or water at a certain temperature, are in show business for the wrong reason… Elvis lived to sing on stage for the people.